While the cost of solar energy is declining, the number of people harnessing the sun’s energy in Alberta is on the rise. In 2010 there were just a couple homes equipped with solar panels. Today there are about 120. Paul Horsman had never been so excited to get his power bill. He and his wife had just moved into his new home where they installed solar panels on the roof. “We not only produced enough power to pay down all our admin charges and energy costs, we also have $7 credit on our bills,” he said. Horsman isn’t the only one taking advantage of the sun. Over the past three years in Edmonton alone, the amount of solar energy generated in Edmonton has increased by about 16 times. In 2010 there were just a couple homes scattered across the city generating solar energy. Today, there are about 120 homes and businesses harnessing the sun’s energy — and thousands of customers all over the province. Three years ago, it would have cost about $25,000 to install solar panels for half of the average home’s electricity. Today it costs about $10,000. 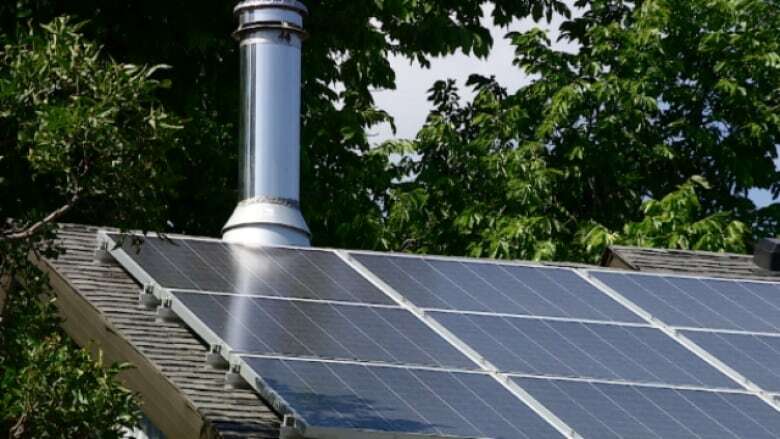 Mike Mellross — who works for the City of Edmonton’s sustainable development department — said the increasing use of solar energy is a good sign. However, those in the solar energy industry say the provincial government needs to step in to keep the trend going. There currently is no policy for renewable energy in Alberta. Susan Horsman is satisfied with the decision to use solar energy.